The day started late and we were rushing to get to the trailhead on time. We were meeting the President, after all! Well, the President of San Diego Mountain Biking association, that is. Kevin Loomis, graciously volunteered to give us a tour of Sycamore Canyon Open Space Preserve, which i did not even know existed before he mentioned one day that he thought i would really enjoy it. He was right. This was a day of firsts. It was our first time in this area. It was our first time riding with Kevin. It was the first time Christina rode her new bike on an actual ride, other than at a bike park, and the first time i was using my new Rylo 360 camera. Watch and take a look around! This camera has added a whole other dynamic to my videos. It takes two 180 degree images simultaneously and seams them together. When editing, you can choose where the camera points, direct how it pans, and select objects to follow. 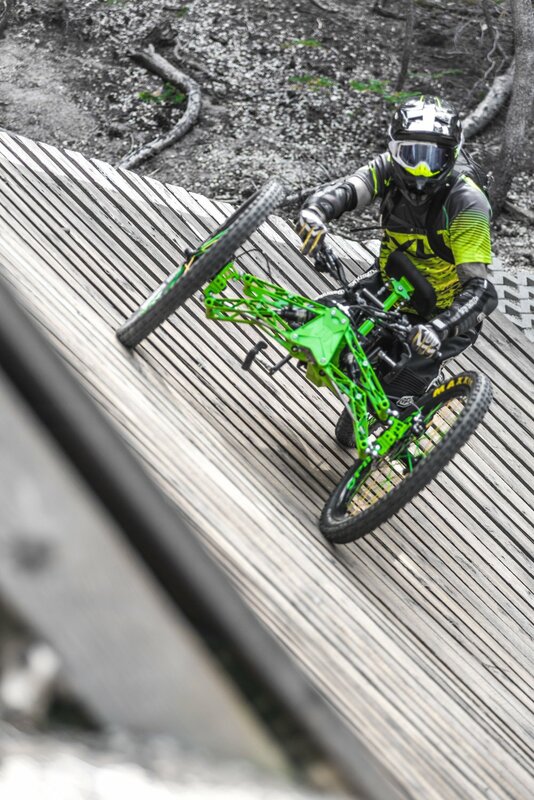 Look for the camera angle moving around in the latest Weekly Ride episode. All my uncut trail videos are in 360 video now. If you watch on your phone you can move it and look all around. On your computer, you can drag the picture or use the direction key in the upper left. 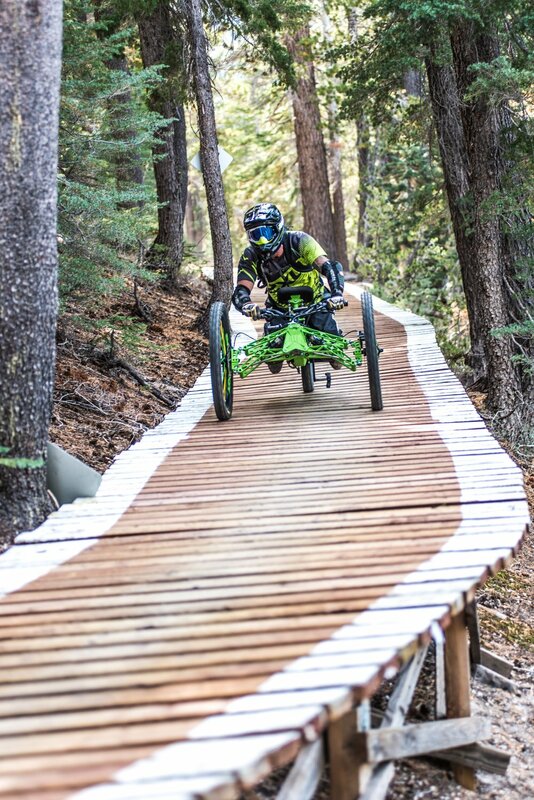 This gives viewers, especially adaptive riders, the chance to see more of whats happening on a given trail and be more immersed in the experience. The editing work flow is a little more involved, but i'm having some fun with it! Now, the county of San Diego has some serious plans for the Sycamore Canyon Preserve. The area is dependent on fire roads, which are not all that fun for mountain bikers. The plan proposes a more usable system with new trails, reroutes and rehab of existing trails. The ridge line, above the canyon, will connect all the way south and bypass the need for a pass from Uncle Sam. A large section of the area is accessed by the historic Stowe Trail, which currently traverses Marine Corp Air Station Miramar. Remember Top Gun? Well, you'd be riding dangerously, in violation of a major rule of engagement, risking having your bike impounded if caught on this trail without a pass. In the near future, a developer who is adding 3000 homes to the Poway area is slated to add 30 miles of trail to the system. This is huge and the county, with this Master Plan, wants to connect all the major open spaces and make Sycamore Canyon the mountain biking hub of the entire city of San Diego. I hadn't even heard of this place and now its gonna be Mountain Bike Mecca! I foresee a Heavenly place where the beer flows like wine and women in bikinis flock like the salmon of Capistrano. This means that 100s of miles of trails will link together! My home turf PQ Canyon, Black Mountain, Lusardi Creek and Mission Trails...what am i missing...will all connect. I'm excited! San Diego Mountain Biking Association is calling on all of us to help. They will need us when it comes time to get things passed. Please contact SDMBA Executive Director, Susie Murphy (executivedirector@sdmba.com), and tell her you want to be added to the Sycamore Canyon advocacy list for trail work, meetings, walking trails, allignment, talking to rangers, etc. The San Diego County Master Plan is all about access, and allowing more people to experience something beautiful is a good thing. We learned a lot on this ride and had a good time with Kevin. My skills were definitely put to the test. Watch Episode 9 of Weekly Ride and see for yourself. Don't forget to watch how the camera angles move around!